Traveling Dinosaur George museum visits classrooms across U.S.
SciTech Now is a dino-mite episode this week as we spend the day at the museum-- a traveling museum, which was temporarily hosted inside KLRN’s Robert L.B. Tobin Studio last month. Dinosaur George (George Blasing) is a self-taught paleontologist and animal behaviorist with more than 35 years of study and research, taking his traveling museum to classrooms all across the United States. SciTech Now learns how Dinosaur George’s Museum in the Classroom initiative is being implemented into school curriculums across the nation. With over 16 years of teaching experience, Dinosaur George initially started out educating children during his vacation time from school. Astonished by the impact his paleontology lessons had on children, Dinosaur George made the decision to leave his job to start the traveling museum. Set in a world of all- things -prehistoric, Dinosaur George and his volunteer museum ambassadors educate visitors on dinosaurs using various fossil displays. Each display paints a detailed picture of each creature, and extra tidbits are added by roaming museum ambassadors, who inform museum patrons with fun facts. Just don’t be too surprised if your ambassador is a 6- year-old with a vast knowledge of a Jurassic world! As one of the largest traveling school exhibits in the country, Museum in the Classroom has become a world full of discovery and imagination for students of all ages. 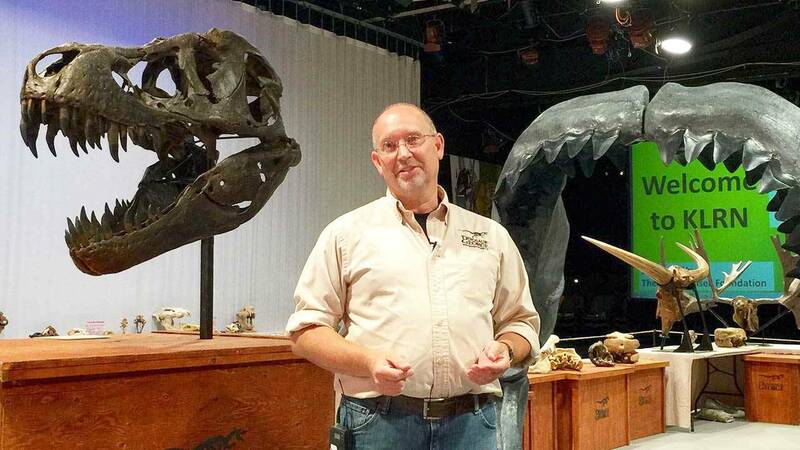 Learn more on Dinosaur George in this episode of SciTech Now airing Friday, Sept. 2 at 7:30 p.m. on KLRN.